Vestax the turntable manufacturer is ceasing operations. The company was probably the sole manufacturer which had made scratch-OK handy turntable. 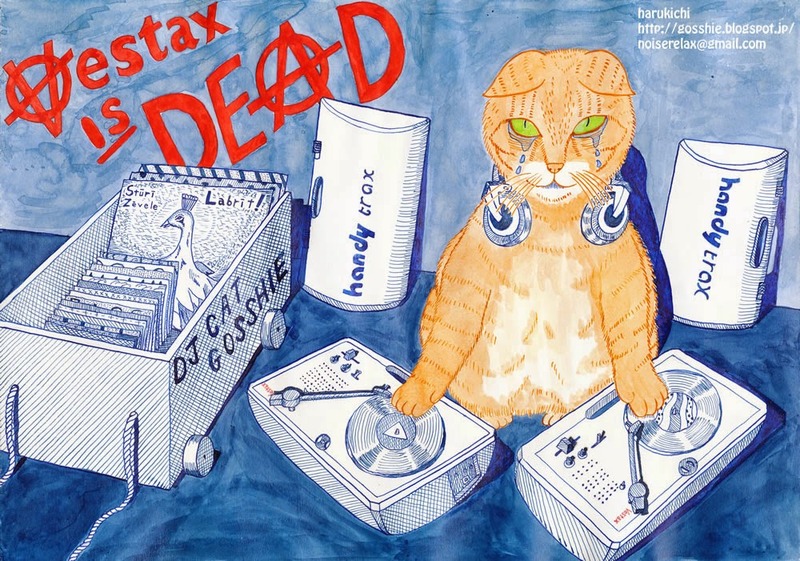 Vestax is dead... and Gosshie the DJ Cat can't make a living any more without it. Please send your handy trax to the cat. You can read and get one story of my DJ Cat Gosshie comics in here.